After four straight years of attending music festivals I know what I like and don't like to wear when it comes to the fashion part of it all. I have found that I actually prefer the idea of less being more, but that no matter what, the foundation of my looks will always be bohemian and earthy feeling at heart. Not only that, but they will be inspired by my past travels and the places I plan to travel to in the future! I like to play with striking yet soft color pops, such as the turquoise on my belt or the trimming on my Teva Original sandals, to complement the neutrals I have on. Blue, blue vintage denim and retro florals are such staples in my closet that I will never let go of, so I always try to find a way to freshen them up each music festival season. 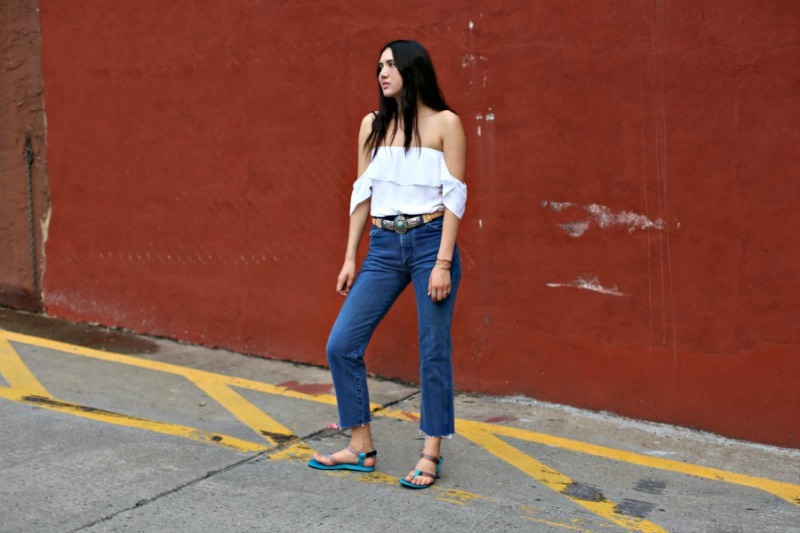 So here is my new take on festival dressing in collaboration with Teva Original sandals and Who What Wear, inspired by the Bonnaroo music festival. Fashion and music go hand in hand for me, and it's a must that I be able to dance the night away in whatever I am wearing. Look #2 was actually inspired my recent trip to the Caribbean . . . San Juan, Puerto Rico to be exact. I've been a lifelong fan of Latin American music, and especially music from Cuba. When I think of the Caribbean, I think of bare shoulders and an uncovered neckline, high-waisted denim that hugs all my curves and Teva Original sandals on my feet. All while dancing with my hips underneath the sun and sipping on a drink made with rum. Older bands like Buena Vista Social Club and newer bands like City of the Sun create something beautiful with those Latin American guitar sounds. When I'm at a music festival, I want to dance like how I'd dance in the heat on a beach with my imaginary Puerto Rican boyfriend :) A little spice and some mysteriousness always needs to be incorporated into my festival fashion. 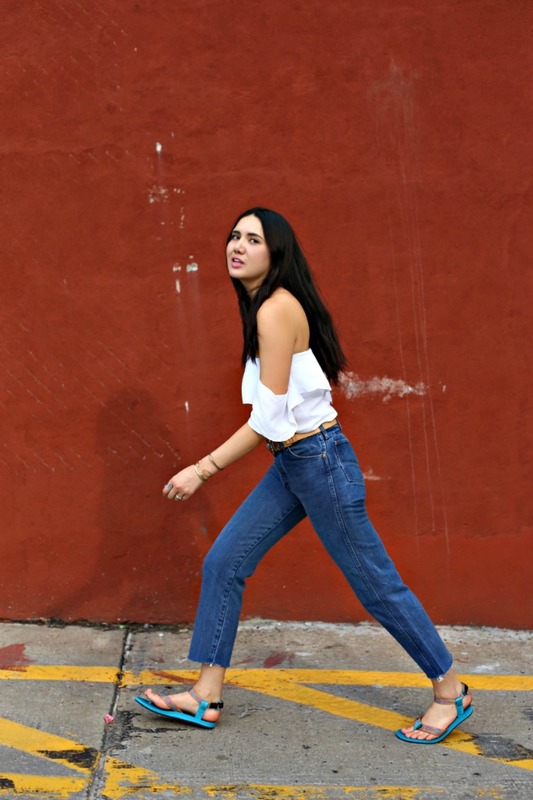 Check out the Who What Wear feature on my Teva looks HERE. Love the skirt! Great looks! OMg my husband favorite sandals of all time and now it's my obsession too after seeing the beautiful sandals new from TEVA . Love your looks !! Very groovy on both looks!! You reminded me I have a 20% off coupon at Teva's from my Bonnaroo kit. Just bought the mosaic pair in Vintage Indigo. Hoping you'll be at Bonnaroo. Would love to meet you! Love all these looks! I loove those burgundy flats! Great looks! The first one is my favourite!! !